The reason “Fake News” has run rampant is because so many websites are more interested in getting you to click on their links, rather than making sure what they are telling you is based in any sort of fact. The good news is that there are plenty of theme park news options available that avoid the sizzle when giving you the steak. 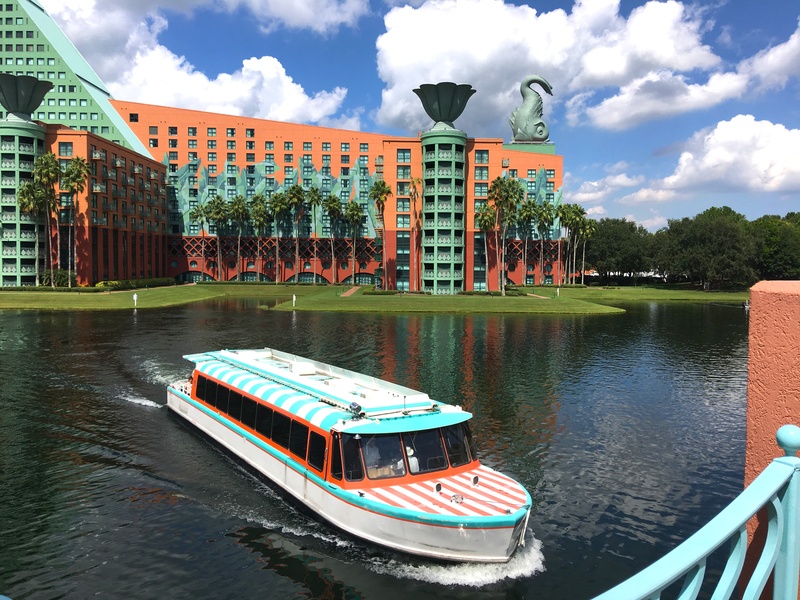 Some of my favorites are TouringPlans’ own Rikki Niblett, theme park icon Jim Hill, Attractions Magazine, and the Orlando Sentinel’s Caitlin Dineen. Ah, the most vain blogger of them all. This type of theme park blogger retweets themselves on Twitter, making sure to tag every single person they know in every single post. They watermark their pictures, as if there is some sort of black market offering big money for photos of theme park attractions. They even do podcasts talking endlessly about the parks because they are secretly in love with the sound of their own voice. Who are we kidding though? We love these devilishly handsome scallywags! 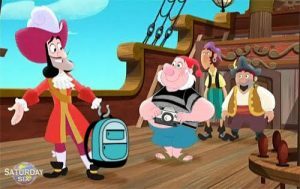 If there is one type of person that even the various cliques of theme park bloggers can agree on to hate, it’s the dreaded Disney eBay Pirates. These are the individuals who quickly buy up all the limited edition merchandise in order to resell it at a marked up value. From Cinderella Carriage Popcorn Buckets to D23 Expo Tsum Tsums to the recent Haunted Mansion Tiki mugs at Trader Sam’s, there is no item these true villains will not scalp. Disney has tried to put in protocols to help limit the abuse, but there is only so much they can. One thing not many people realize is that a lot of Disney Parks merchandise can be bought at the Disney Store online and the Shop Disney Parks App. 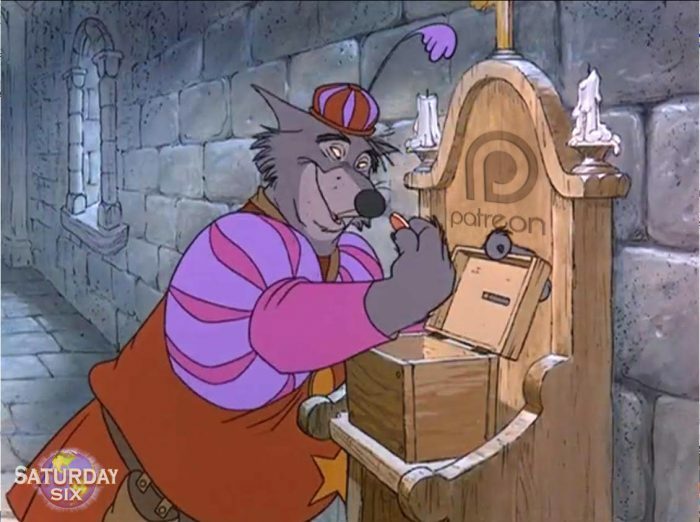 There are some who consider Patreon a form of online pan-handling, but the reality is the crowd funding site is playing a large role in being able to connect theme park content providers with the readers and listeners who appreciate them. Other ways to support great theme park work is over on Bandcamp, where you can name your own price for the Must Listen podcast The Disney Dish with Jim Hill and even iTunes, where Lou Mongello has some pretty nifty Audio Guides to Walt Disney World. 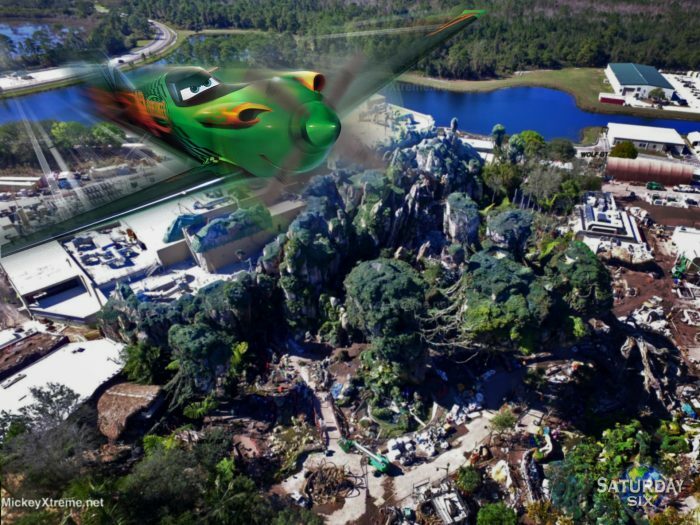 For Disney and Universal, bloggers who rent out helicopters in order to take aerial pictures of the parks probably drive them absolutely crazier than all others combined. 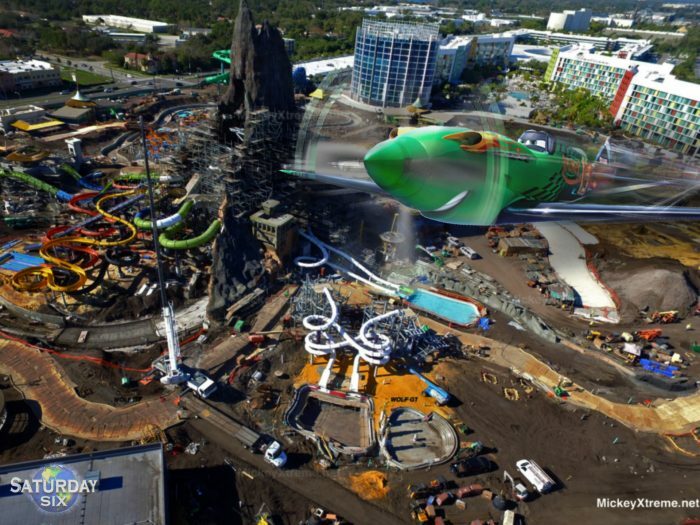 Both theme parks put a lot of work into making sure guests can’t see into construction areas, but they can’t stop bloggers from snapping hi-res photos from 8,000 feet in the sky. In a way, for us fans it’s like forbidden fruit, as being able to see parks from this viewpoint is pretty fascinating. On the ground, the theme park community is truly blessed with some incredible photographers who make you feel in the parks while sitting at home waiting for your next vacation. Some of my favorites include Tom Bricker, Blog_Mickey, Bioreconstruct, Trevor A, Travis Terrell, Mark Willard, and Brandon Glover. There are also those inside the parks regularly, giving you a better idea of what to expect when you get into the parks. People I would recommend following include Seth Kubersky, WDWNT, and Guy Selga. Don’t forget TouringPlans’ own Dani, Julia, and Daisy every Thursday with their Best Week Ever series. One of the trickiest parts of navigating the world of theme park blogging is sifting through the people telling you what you need to know rather than what you want to hear. This was a lesson I learned many, many years ago when my family would always get the Birnbaum guide to Walt Disney World. I loved the pictures and used the book obsessively to help plan trips. Then one year my parents bought The Unofficial Guide to Walt Disney World. The Unofficial Guide didn’t have the glossy paper or the color photos, but it was giving me a more realistic view of a theme park vacation that actually helped my family’s trips get better. It was a “warts and all” look at Disney rather than a Pixie Dust version and it wasn’t long before I stopped buying the Birnbaum book and stuck exclusively to The Unofficial Guide. The theme park blogging world is a bit tougher to figure out who has been completely co-opted because disclosure might as well be a four letter word in the community. Bloggers have been put up in hotels for free, given meals at restaurants, and afforded luxuries at the parks that a regular guest would never see, such as exclusive meet and greets or unlimited The Grey Stuff from Be Our Guest Restaurant. Along with some those perks come a quid-pro-quo of toeing the company line rather than giving an honest viewpoint. As a vacationer, you should be able to trust that the people you are reading (and listening to on podcasts) are telling you things that are in your best interest, rather than in the best interest of the parks. The phrase “truth will out” from Shakespeare’s The Merchant of Venice tells us that, in time, you will discover everyone’s agenda. The good news is that their are a lot of blogs and bloggers who are legitimately out to help you plan a successful vacation, just be careful of the ones who are only out to help themselves. 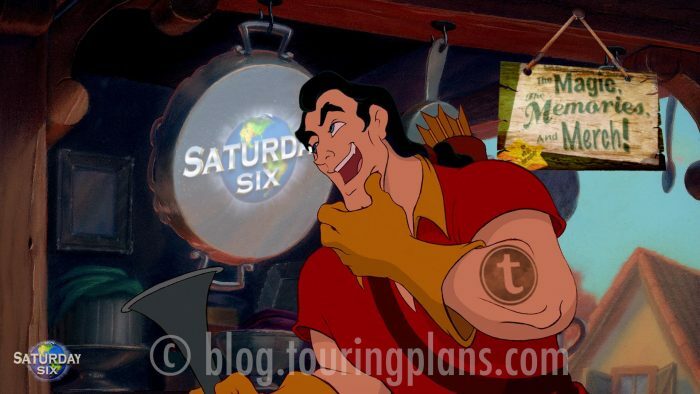 So there you have it: Using Disney Villains to Explain Theme Park Blogging See you next weekend for the latest installment of the SATURDAY SIX, where we’ll look at something fun from the world of Disney and Universal. If you enjoyed yourself, be sure to check out The Magic, The Memories, and Merch! articles, or, for your listening pleasure, check out the E-Ticket Report podcast. You can also follow Your Humble Author on Twitter (@derekburgan). Special Thanks to crack staff photographer Brandon Glover, theme park community Rookie of the Year winner Kinny M Brown (who also has a terrific Instagram account you should be following), High In the Sky Blogger MickeyXtreme, and blogger to the stars Megan Stump for their invaluable assistance with this article. Be sure to also check out Brandon on The Park Blogger podcast with goofballs co-hosts Aengus Mackenzie and LitemAndHyde , while fellow Potterheads may enjoy Meg’s work on the Central Florida Slug Club. 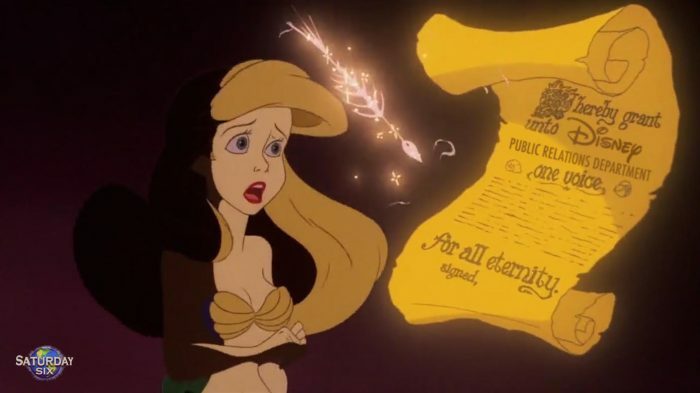 So what you’re saying is Disney bloggers are FAKE NEWS and the enemies of the American people? There’s one additional type that wasn’t mentioned. The blogger that repurposes PR photos, mixes in a bit of Ken Burns and then uploads the video to their YT channel under the guise of ‘Exclusive First Look’ trying to cash in on channel views. Great Article!! 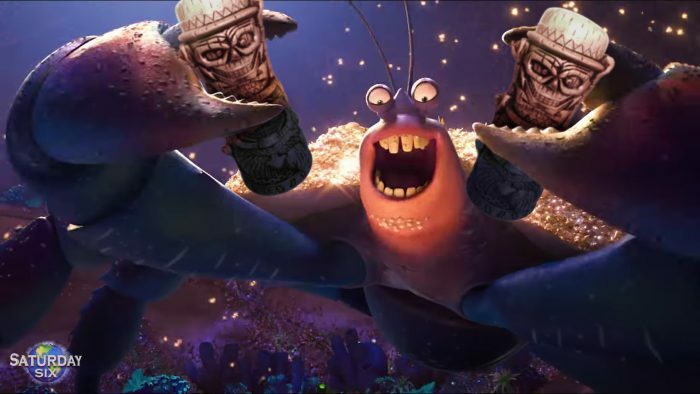 Please post more content like this. 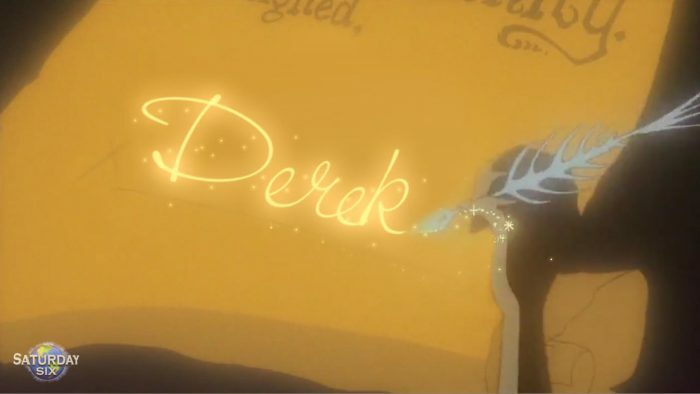 Thanks for the great content, Derek! I can see both sides of the watermarking debate, and many people have unfortunately had their pictures outright stolen from them and presented on other sites as if someone else took them. Any time you follow a click bait site or read some sort of Disney/Universal article that is broken up into a slideshow it is almost invariably a bunch of photos the author of the piece did not take and instead Googled to get what they wanted. Credit is only sometimes given. Call me clueless, but why do I get the feeling reading this that there are more than helicopters “over my head”? I’m sorry you didn’t mention Mouseplanets Alan Dalinka when mentioning photographers. He’s one of my favorites. I just looked at some of Alan’s work and I agree, it’s very strong! Nice. I’m amazed by the unlimited resources some bloggers seem to have to gather their photos. It also makes me jealous, particularly with people like Tom Bricker who seem to travel for a living. It’s all good, though (well, except for a few people). I do enjoy the “Breaking” example and will add when a blogger puts “Trending” in front of Tweets and Facebook posts. You can’t say that for your own site!